Colorado Rapids Soccer Club announced today that two Academy products have been called up for Charlotte’s international friendly vs Santos Laguna on Wednesday, September 5 in Matthews, North Carolina. Armando Munoz (17) and Sebastian Anderson (16) have been called-in by Charlotte’s head coach Mike Jeffries. Munoz, joined the club in 2016 and has represented the Rapids at the U-15/16, U-16/17 and U-18/19 levels. The speedy midfielder has played a total of 25 games with 20 of them from the start, and scored two goals for the Rapids. Anderson, a native of Highlands Ranch, Colorado, has represented the Rapids at the U-16/17s and U-18/19s after joining the Rapids in 2017. He also earned a call-up with the US U-17s for the 2017 Nike International Friendlies. 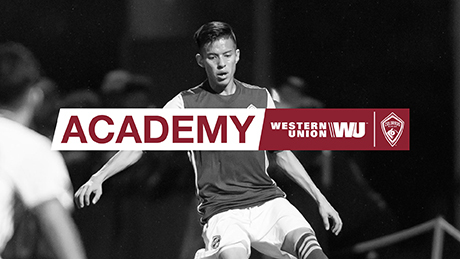 To keep up-to-date with the Rapids Academy, click HERE, or visit @RapidsAcademy on Twitter. Serving the Albuquerque and surrounding communities for since 2001. New Mexico’s premier youth soccer club fielding boys and girls players 4-19 years old. Rio Rapids Soccer Club is a Non-Profit Soccer Club who participates in the Region IV Desert Premier Regional League and the Duke City Soccer League.